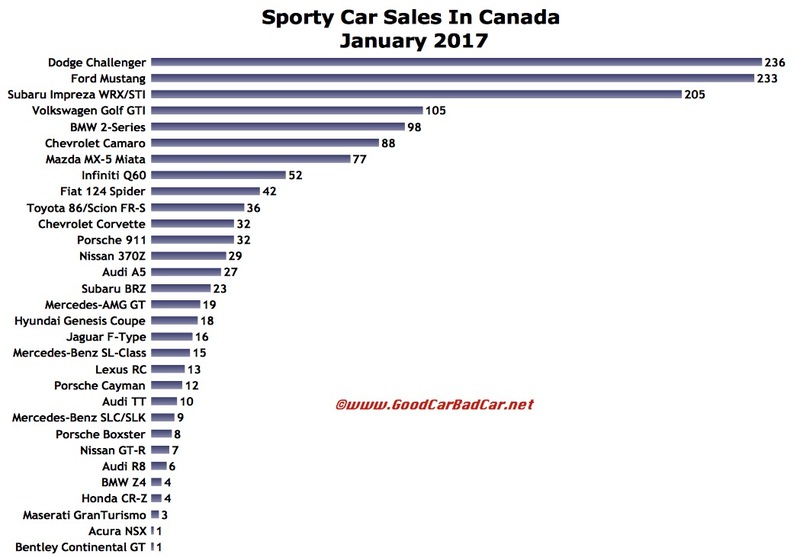 The Dodge Challenger was Canada’s top-selling sports coupe in January 2017, but don’t expect the muscle-bound, Canadian-built beast to remain on top for long. January is far from the highest-volume month on the Canadian auto sales calendar. Indeed, it’s the lowest-volume month. In 2016, only 3% of the Mustangs sold in Canada left dealers in January; slightly less than 3% of the Challenges. Thus, the fact that Dodge’s venerable Challenger produced three more sales than the always-dominant Mustang in January does not mean the Challenger is on its way to a sales victory in 2017. The Mustang outsold the Challenger and Camaro combined last year. 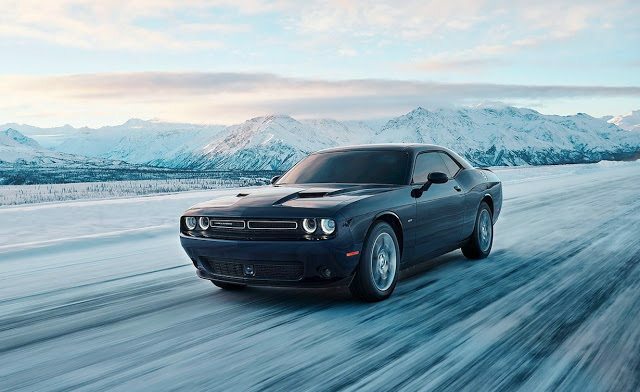 However, it was prudent to expect that with a new all-wheel-drive option on the table, the Dodge Challenger could make real headway in the winter months. Nevertheless, the improvements for numerous sports cars was healthy in January. The Mazda MX-5 Miata generated more January 2017 sales than in each of the previous three Januarys combined. Mercedes-AMG GT sales rose to a four-month high. The Infiniti Q60 reported its fifth consecutive year-over-year monthly improvement. You can click any model name in the tables below to find historical monthly and yearly Canadian auto sales data. You can also select a make and model at GCBC’s Sales Stats page. These tables are now sortable, so you can rank sports cars, coupes, GTs, roadsters, and convertibles any which way you like. Mobile users can now thumb across the tables for full-width access. Suggestions on how GCBC should break down segments can be passed on through the Contact page. GCBC isn’t here to break down segments, an impossible task for any group, but to display sales data for the sake of comparison. The more ways sales data can be displayed, the better. This explains why you’ll see the Audi A5 here and with luxury cars, because readers have wanted it both ways. You can always find the sales results for EVERY vehicle and form your own competitive sets by using the All Vehicle Rankings posts. Clearly GoodCarBadCar is not suggesting that the cars in the tables above are all direct competitors. Establishing categories among cars as unique as even the Audi TT and Porsche Boxster has never pleased a single reader, so cars have been lumped together so you can simply see how buyers looking for sports cars, roadsters, hot hatches, convertibles, GTs, and wanna-be sports cars spend their money. Greater categorization of cars would only lead to problems that automakers create by not isolating model-specific sales figures: we don’t know how many M3s BMW has sold or how many Civics are Si models, for example. The numbers we do have are listed above. GoodCarBadCar is always open to hearing about the ways you would break down segments, so feel free to get in touch.